Everytime I visit it takes at least another 45 minute wait after my scheduled time to see my doctor. This was my first physical in years and Dr. Dobson made the whole experience easy and painless. He has a greatpersonality and is extremely knowledgeable. I definitely recommended to him everyone! This was my first physical in years and Dr. Dobson made the whole experience easy and painless. He has a great personality and is extremely knowledgeable. I definitely recommendedto him everyone! 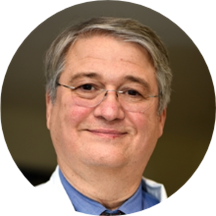 Dr. Ken Dobson is an experienced clinician with years of general practice experience in the US Navy. He joined the Synergy family in 2018 after having been the Senior Public Health Advisor for a federal agency. He is especially adept at physical diagnosis and preventive medicine, having received Internal Medicine training and a Masters of Public Health. Dr. Dobson enjoys teaching both his patients and students, and previously taught Physical Diagnosis Techniques in the Physician Assistant Masters program at Emory University. He is excited to provide convenient, comprehensive, and compassionate care to the Greater Tysons community. As with other providers at Synergy, he sees both kids and adults for primary care and urgent care needs. Dr. Dobson grew up in the North Georgia mountains, so in his spare time he enjoys vegetable gardening, fly fishing, cheering for the Georgia Bulldogs, and camping with his wife and three daughters. PLEASE NOTE #1: For those patients with HMO plans, please be sure that Dr. Dobson is listed as your PCP. PLEASE NOTE #2: If you are making an appointment with Dr Dobson for a new problem that he has not seen you for before, please select "New Patient" in Zocdoc. Otherwise, the appointment time will not be accurately reflected in the schedule and might need to be rescheduled. Thank you. Dr. Dobson is awesome! Excellent bedside manner, and he seems to really care about every patient. He takes the time to listen, explain, and talk to everyone. However, the company (Synergy) WAY overbooks and understaffs his practice, and asa result wait times are long. Not just the wait to get in (35 minutes past my scheduled time), but also between visits of his staff (15-20 minutes between first nurse, NP, and doctor). Total time at the office for a simple annual physical was over two hours. The kind of Family Dr Ive always wanted. We were incredibly impressed with Dr Dobson and his staff. They were incredibly friendly and helpful. My husband and I have been to many different clinics in the area and this was the first one where we were treated like people, not a number. I went in to establish care with Dr Dobson around 12:00PM one day and waited over 45 minutes in the waiting room for my visit. After being seen, he told me to come back in the morning for my physical sothat he would not get behind in the schedule. I show up at 7:30AM for my appointment, still waited over 45 minutes in the waiting room and over 2 hours in total for the appointment. After asking the medical assistant, he said that I was the first and only patient at the moment and that I was not seen because he was running labs. I was not sure why the doctor would waste my time and tell me to come in the morning when that did not shorten my wait time at all. I sat in the waiting room for over 45 minutes without seeing a single person. It would have been more professional if they came out to tell me that they had to run labs and could not see me yet but there was zero communication. The front desk receptionist was apathetic when I told her, acting very unprofessional by just waiting her videos on her phone instead of listening. I would not recommend this doctor unless you have 2 hours to waste every appointment. Dr. Dobson is a very skilled physician with a broad knowledge of his practice. He took time to explain in detail my questions and concerns AND he’s easy to talk to. He is wonderful! Dr. Dobson is a very caring and knowledgable physician. I feel in good hands with Dr. Dobson. I had appointment at 9, He never visited me till I came out of the office then he waved hand at me outside of the office and told me the prescription while standing in the street. Although he didn't applogize forthat long wait, I thought maybe he was super busy and wants to visit me now. Therefore I walked in with him and again he left me with no explanation. This was a unique awful experience of being visited by such an unprofessional doctor. He truly listened to me and was excellent in recommendations. He was prompt to follow up on refilling prescriptions and seriously made all my visits the most enjoyable doctor visits I’ve ever had. I can’t recommend him enough. Assistants didn’t properly use medical equipment. Although the wait time was too long, my visit with Dr. Dobson went very well--excellent bedside manner, knowledgeable, and he took the time to research and follow up a lot outside of my appointment time to make sure I was gettingthe care I needed and healing well. I definitely recommend him. Very smooth experience. Will love to come back for annual physical check. Great Experience! Dr. Dobson was very considerate. He is an excellent listener and I never felt rushed. I got my annual physical with Dr. Dobson. I saw him first thing in the morning, and he seemed a little out of sorts; he probably just needed his morning coffee though, haha. He did a good job explaining everything thathe was doing and answering any questions that I had. I plan on making Dr. Dobson my primary physician going forward. He was okay. He didn’t have any knowledge of my issue so he referred me out which was fine. However he started probing about one of my other health issues (which i was not there for) and felt it necessary tosell me his glory days of being a public health clinician. Very knowledgeable, very nice, in short a great first-time visit. Dr. Dobson made me feel very relaxed and was easy to talk to. Dr. Kenneth very helpful. I had an early morning appointment so was seen right away. He is very nice and helpful. Dr. Dobson is patient and seems knowledgeable. But the waiting time is too long, and the end result basically says nothing. Dr.Dobson was wonderful .He listen to my concerns and made me feel at ease.I would recommend him to my family and friends for sure. Dr. KENNETH is very kind and knowledgeable. Highly recommended.